Thank you for your interest in becoming a member of the Penn State Alumni Association, Central Florida Chapter. By becoming a paid member of our chapter, you will receive exclusive benefits, will support charitable, scholarship, social and networking programs of the chapter that promotes fellowship and community involvement, and will help offset Chapter operating costs that help bring these programs to you. So whether you are looking for opportunities to network and socialize with fellow Penn Staters, to volunteer within the community or to give back to your alma mater and its students, you have found the right group. Want to learn more? Here are just a few questions that prospective members ask prior to joining our group. You may also contact us with your questions or join us for one of our events. 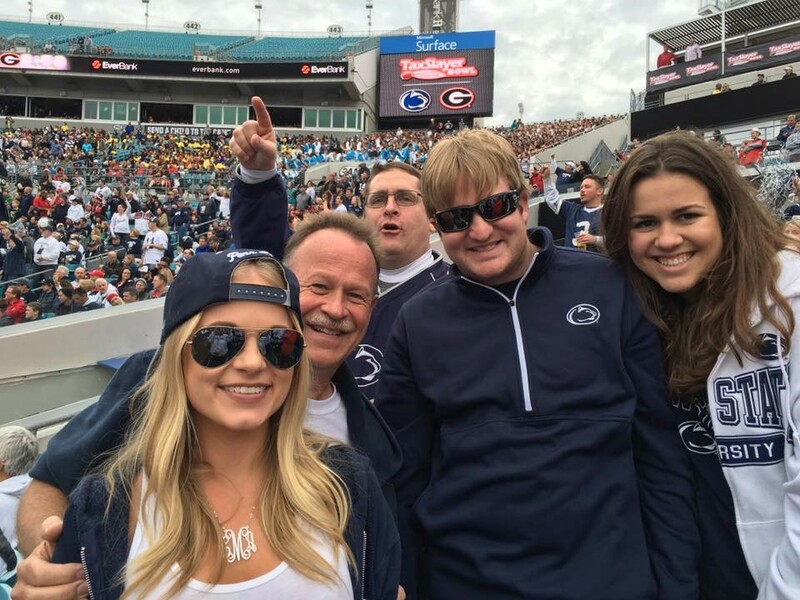 We look forward to having you become a member the Penn State Alumni Association, Central Florida Chapter! You! We welcome all alumni and friends of Penn State to join our group. Who does my membership extend to? Your membership extends to immediate family members which includes your spouse and children under the age of 25. Do I have to be a member of the Penn State Alumni Association to join the Chapter? No. We do encourage you to become a Penn State Alumni Association member though. Without the Association and support of its members, we would not exist. Memberships are affordable and also comes with a variety of benefits. Members of both the Association and the Chapter are also eligible to hold positions on the Chapter’s Board of Directors. To join the Penn State Alumni Association or to renew your membership, please visit their website at http://alumni.psu.edu/membership/join-renew/ or call 800-548-LION (5466). How much does it cost to be a Chapter member? Only $25 for an annual membership! What are the Chapter membership benefits? There are a number of benefits to being a member including invitations to exclusive events, discounts and more! Please stay tuned as we revise our list of benefits for the current year. Anytime! Our fiscal year does run from July 1st to June 30th, but speak with a Membership Chairperson if you would like to pay prior to the start of the new fiscal year. Renewals of membership are typically sent out around July 1st. Both new and renewal memberships can be paid online and at select Chapter events.